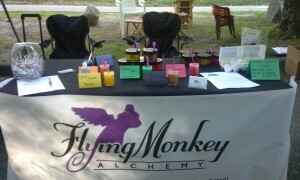 Flying Monkey Alchemy makes hand crafted, limited ingredient sugar scrubs that will naturally exfoliate & moisturize. They will make your skin soft and you happy. We blend sugar, natural oils, flavor extracts, coloring and essential oils and then infuse them with healing Reiki energy. They are gentle enough to use every day. Our flying monkeys bring 5 core scents to the party — and who really doesn’t want a flying monkey at their party?! Plus a different seasonal scent based on the pagan Wheel of the Year Calendar! 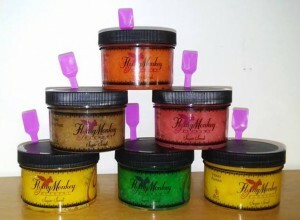 Flying Monkey Alchemy sugar scrubs make great gifts for the holidays, as favors for baby showers, bridal showers, retirement parties, or anytime you just want to pamper yourself or someone you love. Our monkeys are mischievous, but they don’t want you to get hurt. Please use caution in the tub or shower, as the oils in our products could make surfaces slippery. Due to our small production area we cannot guarantee contact with nuts or nut products may not have occurred. People with nut allergies should use caution and common sense when handing our products. We love our flying monkeys! So none of them, or any other animals are harmed in the making of our scrubs. Our head witch is the main scrub tester. If she doesn’t melt, well then, we figure it is good to go! 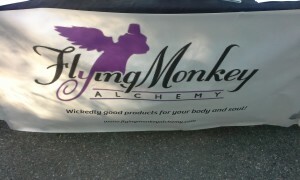 Delivery by Flying Monkeys is not yet approved by the FAA! 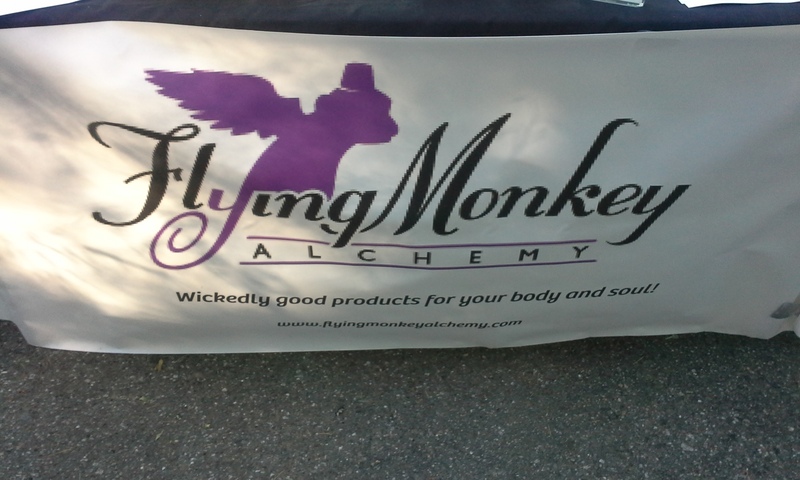 Follow Our Flying Monkeys on Facebook!